Jerusalem – For years, Simone Zimmerman has protested Israel’s actions from the left. She’s led activist groups, organized protests and gone on camera. But she never worried that her activism would get her barred from entering the country—until this week. Zimmerman, who is Jewish and lives in Israel on a work visa, was returning from a vacation in the Sinai Peninsula on Aug. 5 when she found herself held up at the passport check. What was usually a routine two-minute interaction turned into an hour of answering personal questions and waiting. Soon, she and a friend, Abby Kirschbaum, were sitting on benches outside a back office talking to a security agent—and being questioned about their political activism. Zimmerman told the agents that she did not participate in any violent activism. After four hours of questioning by four people, she and Kirschbaum were free to go. It’s at least the third time in the past month that American Jews have been stopped at Israel’s borders and questioned by security personnel about their nonviolent activism or visits to Palestinian areas. A week before Zimmerman and Kirschbaum’s detainment, another leftist activist, Moriel Rothman-Zecher, was detained for three hours at Ben-Gurion Airport as he entered Israel. Two weeks earlier, Meyer Koplow, a prominent American Jewish philanthropist, was questioned before leaving the country after a fact-finding tour that included talks with Palestinians. Israeli officials say the questioning is just a matter of security, ensuring that those entering the country are not militant extremists or, in Koplow’s case, carrying something dangerous in their luggage. The officials insist they are not interested in political stances or opinions of Israel’s prime minister. While the activists were all questioned by border personnel, the agents conferred with the Shin Bet, Israel’s internal security service, which dictated questions to ask. The Shin Bet says it was primarily interested in whether the activists had participated in violent rallies. A statement from the Immigration and Population Authority also said that the agents did not ask Zimmerman or Kirschbaum any political questions, and that Zimmerman volunteered her opinion of Netanyahu. The statement said Zimmerman was initially questioned because of previous issues with her visa. But the detained activists stand by their accounts. They all say that at least some of the questions were political and that the experience was jarring. In light of recent IIsraeli laws targeting left-wing groups critical of the government , they worry that the country’s border security has begun extending to interrogation of dissent and intimidation of the left. Zimmerman, Kirschbaum and Rothman-Zecher are all young left-wing activists opposed to Israel’s occupation of the West Bank and its treatment of Palestinians. Koplow has been a lay leader at mainstream, traditional Jewish institutions, and was questioned following a tour of the West Bank with Encounter Programs, a nonpartisan organization that brings Jews to Palestinian areas to meet the people and see their society firsthand. (This reporter also was on that tour.) Koplow believed he was questioned after security personnel found a brochure in his luggage titled “This Week in Palestine,” which he had picked up in a Bethlehem hotel lobby. Rothman-Zecher related a similar experience to that of Zimmerman and Kirschenbaum. Upon handing over his passport, he was told to wait as his wife and baby went ahead. Two hours later, he says a Shin Bet officer who gave his name as “man” (“gever” in Hebrew) asked him a series of questions about his history and activism. Rothman-Zecher says the agent was friendly, even asking him about his recent novel and whether he prefers living in the U.S. or Israel. But he also fears that he could face further interrogation next time he is at the airport. Neither the Shin Bet nor a spokeswoman for the Population and Migration Authority responded to questions about Rothman-Zecher or referenced him in their respective statements to JTA. Zimmerman and Rothman-Zecher both said that the experiences reminded them of stories they’ve heard from Palestinian friends who complain of questioning or intrusive searches at the border. Fady Khoury, an attorney with Adalah, a Palestinian legal rights group, has challenged instances of Arab-Israelis being strip-searched or escorted by security while at the airport. Issa Amro, a prominent nonviolent Palestinian activist in Hebron who has been arrested both by Israel and the Palestinian Authority, told JTA that he has been arrested twice while trying to leave the West Bank, and has been made to wait up to seven hours before being allowed to re-enter. The questions, Amro said, were like those asked of the Jewish activists: What groups do you protest with? What are other activists’ names? How do you know them? This isn’t the first time American Jews have met trouble at the border because of their political activism. 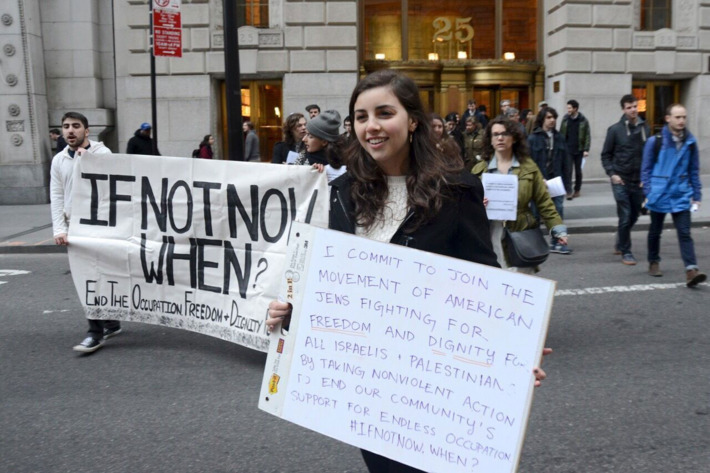 Following a 2017 law that allows Israel to bar activists for the anti-Israel Boycott, Divestment and Sanctions movement from entering the country, American Jewish BDS activist Ariel Gold was denied entry at the beginning of July. The BDS entry ban is one of several laws that Israeli NGOs have decried as a campaign against dissent. Multiple government decisions, for example, have restricted the activities of Breaking the Silence, a veterans’ group that criticizes the occupation, and which critics say misinforms international audiences about the military and its activities. Last month, a new Israeli law barred the group from appearing at schools or speaking to students. Michael Sfard, a leading Israeli human rights attorney, sees the questioning of activists as part of that trend. Both Rothman-Zecher and Zimmerman have been involved in controversy before due to their activism. Rothman-Zecher has been involved in various left-wing groups in Israel. In 2012, he served a prison sentence for refusing to enlist in the IDF. Zimmerman is a co-founder of IfNotNow, a left-wing American Jewish millennial group that protests Israel’s treatment of the Palestinians. In 2016, she briefly worked for Sen. Bernie Sanders’ presidential campaign until a previous Facebook post of hers surfaced that included obscene language about Netanyahu. She currently works for Gisha, an NGO that focuses on freedom of movement for residents of Gaza. Zimmerman does not support BDS, but her outspokenness has drawn harsh criticism from some pro-Israel activists. Arsen Ostrovsky, a pro-Israel human rights lawyer, tweeted this week that she should have been barred from entering Israel. “Shame they let Zimmerman, an extremist, a racist, supporter of BDS and defender of terror against Israel, back into the country!” he wrote. Zimmerman said the experience has not deterred her from future activism. But she won’t be surprised if something like this recurs.